Bahrain, a kingdom known historically for pearls, will host one of the largest pearl exhibitions later this month (March). Leading auction house Christie’s and Bahrain’s Institute for Pearls and Gemstones (Danat) announced the launch of the exhibition titled 'Magnificent Pearls', which will take place at the Four Seasons Hotel in Bahrain Bay from March 28 to 31. Organised by Christie’s, the exhibition will showcase a selection of more than 50 exceptional pearls and other jewellery, all certified by Danat. This will be one of the largest pearl exhibitions ever curated and open to the public, said a statement. Christie’s is the world’s leading art business, with extensive service and international expertise in conducting most celebrated auctions for the arts, decorative arts, jewellery, and collectibles. 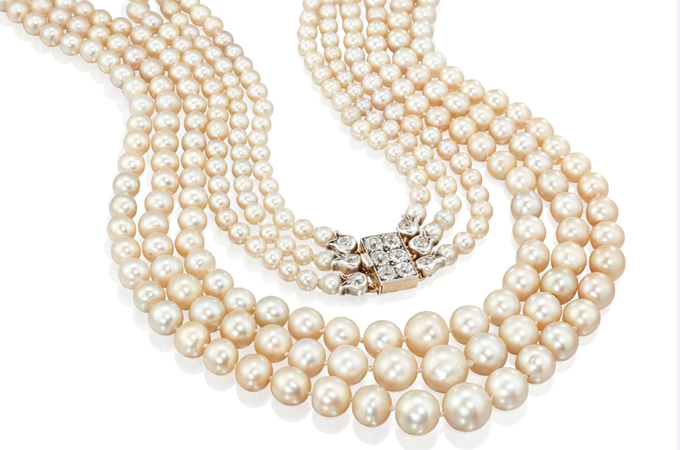 Established in 1766, the house has sold some of the most prominent pearls of the world. Danat Chief Executive Kenneth Scarratt said: “By being part of Christie’s global presence, Bahrain once again demonstrates its commitment to building on its long and successful history of pearl trading. "Magnificent Pearls represents a new step forward in expanding initiatives across the pearl industry, which is emblematic of Bahrain’s rich cultural heritage," he said. “We would like to express our sincere thank you to HRH Prince Salman bin Hamad Al Khalifa, Crown Prince, Deputy Supreme Commander and First Deputy Prime Minister of the Kingdom of Bahrain, for offering to the world a first-in-class institute and laboratory,” added Isabelle de la Bruyère, Senior Director and Head of Client Advisory, Christie’s EMERI. This year marks Christie’s 14th year in Dubai with sales held consistently since 2006. Since opening, the firm’s activities in the region have been overseen by Michael Jeha, now Chairman of Christie’s Middle East, supported by a specialist team led by Hala Khayat (Middle Eastern Modern and Contemporary Art) and Remy Julia (watches). Recently Damaris Anghern, a colleague from the Zurich office, joined the team as General Manager. This week also marks the opening of Christie’s Dubai’s newly refurbished gallery space in the DIFC, the team’s permanent home and the location of a public library of art texts, available to all. Christie' holds sales of Middle Eastern Modern and Contemporary Art twice a year, the first in Dubai in March to coincide with Dubai Art Week and the second in October in London to coincide with Christie’s 20th Century Week and the international Frieze Art Week.